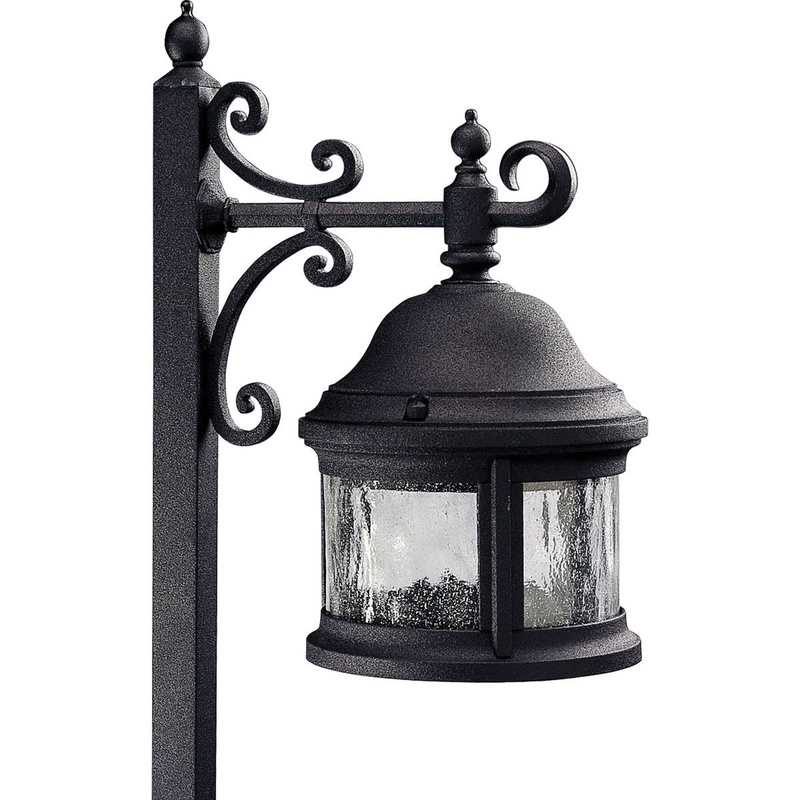 Progress Lighting Ashmore Collection Landscape path light in black finish, has die-cast aluminum construction for added strength, durability and corrosion resistance. This traditional and rustic style light has wedge socket to accommodate one 18-Watt T5 halogen lamp for lighting. It incorporates water seeded glass curved panel shade for even light distribution. The path light has a fixture power rating of 18-Watts and voltage rating of 12-Volts. This 1/2 IP thread mountable path light measures 6-1/4-Inch x 9-1/2-Inch x 24-Inch and comes with 6-ft lead wire. It is suitable for use in wet locations. The path light is cCSAus certified. * Inventory displayed is accurate as of 04/20/2019 21:40 PDT.